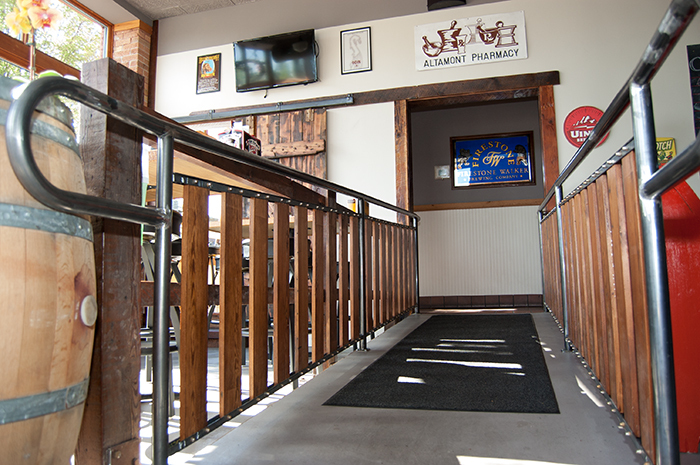 A tavern turned taphouse in the historic Perry District has boasts a family-friendly atmosphere that serves a delectable and casual menu paired with a comfortable, reclaimed interior design. 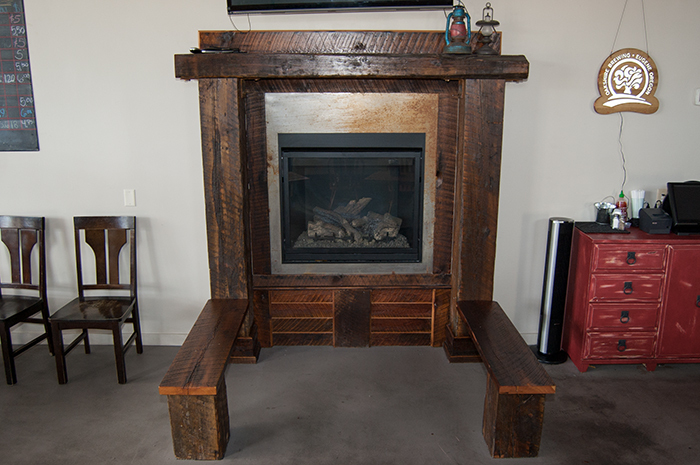 The mantel, sliding barn door, and bar divider are built with salvaged lumber from a dilapidated apple orchard storage facility and an old nut factory. All pieces were minimally shaped and finished to enhance the qualities of each piece of lumber.